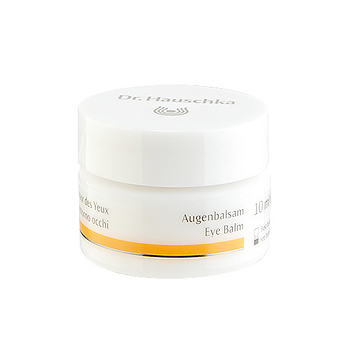 Dr.Hauschka Eye Balm is designed for soothing, nurturing and protecting the eye skin area. Carrot, Calendula and Anthyllis soothe delicate skin while a blend of Apricot Kernel Oil, Jojoba Oil and Beeswax moisturize and smooth dry skin and fine lines. Neem Leaf and Silk Powder fortify and firm the eye contours. Dr.Hauschka Eye Balm is suitable for all skin conditions.